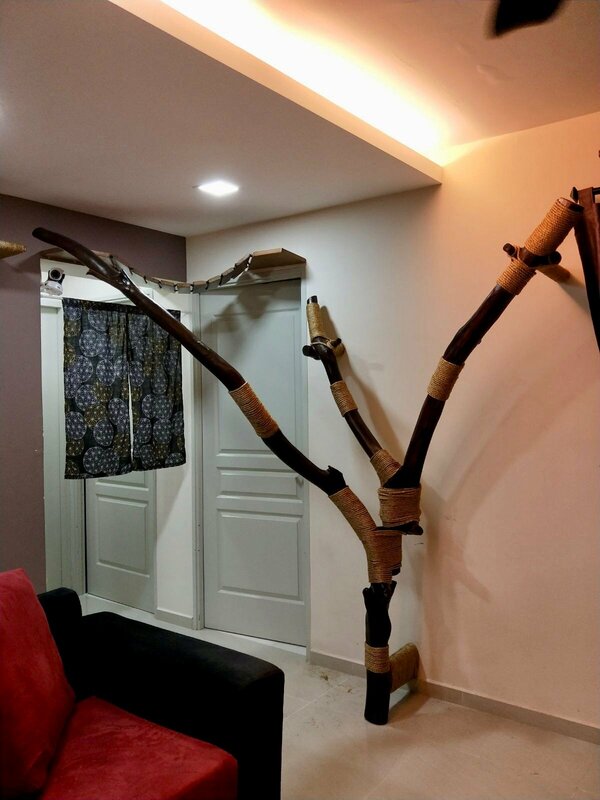 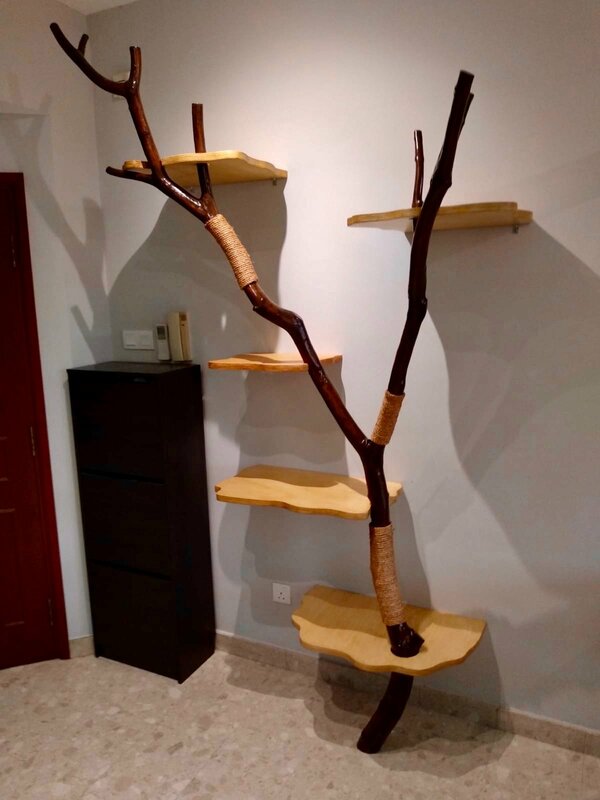 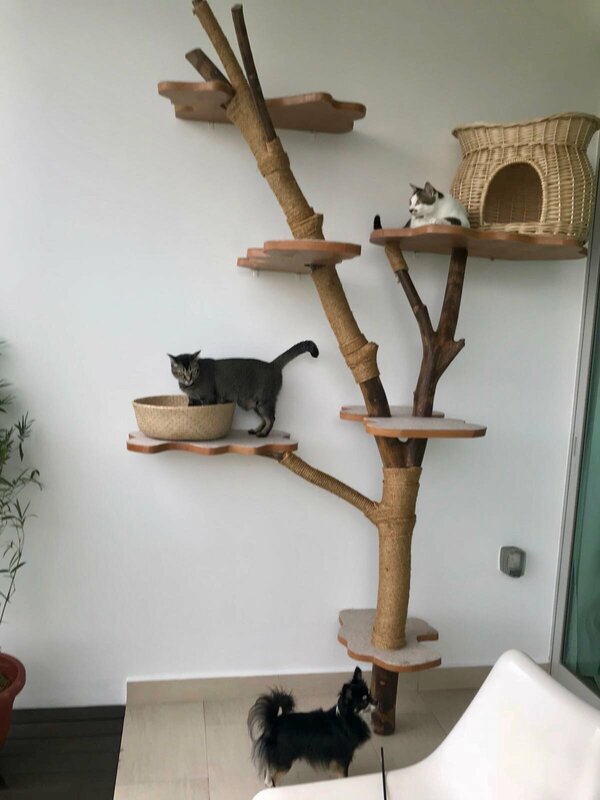 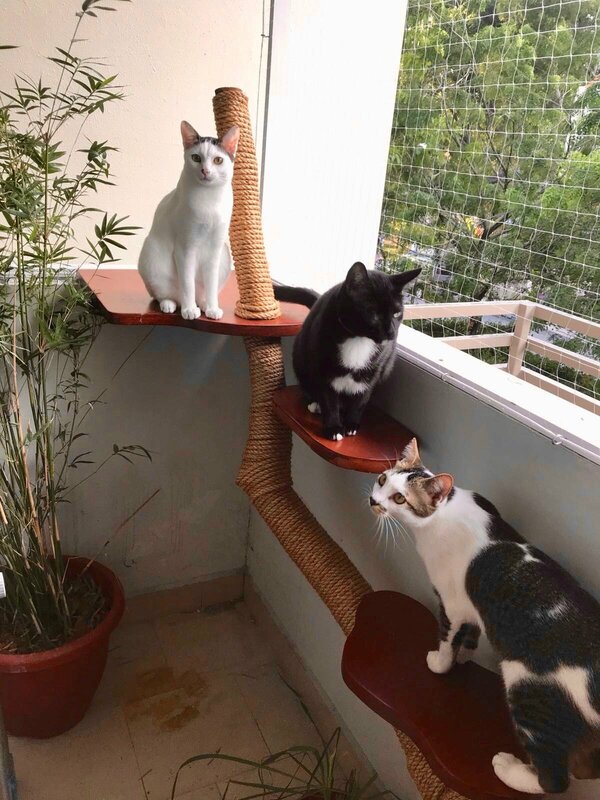 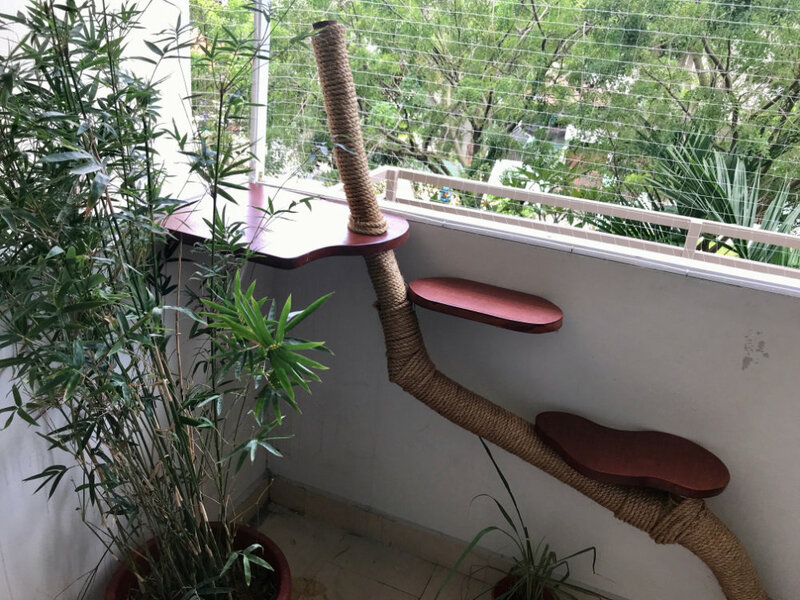 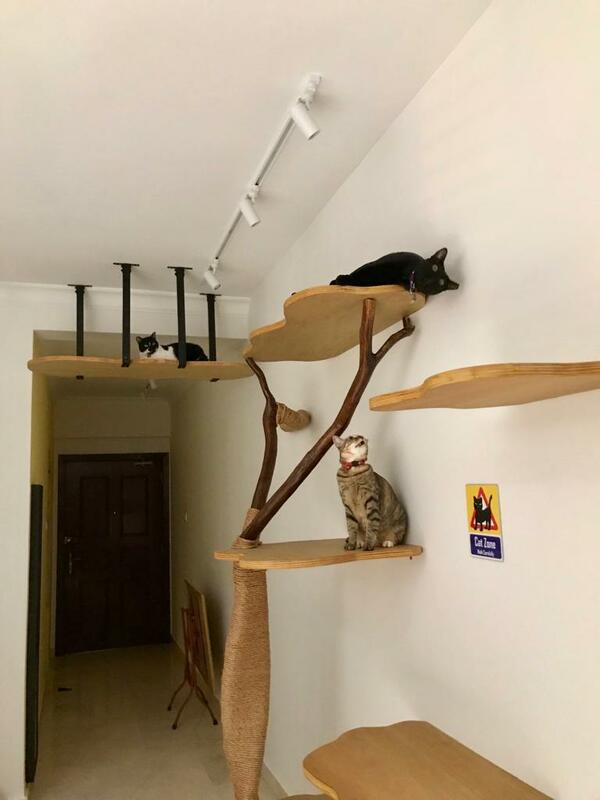 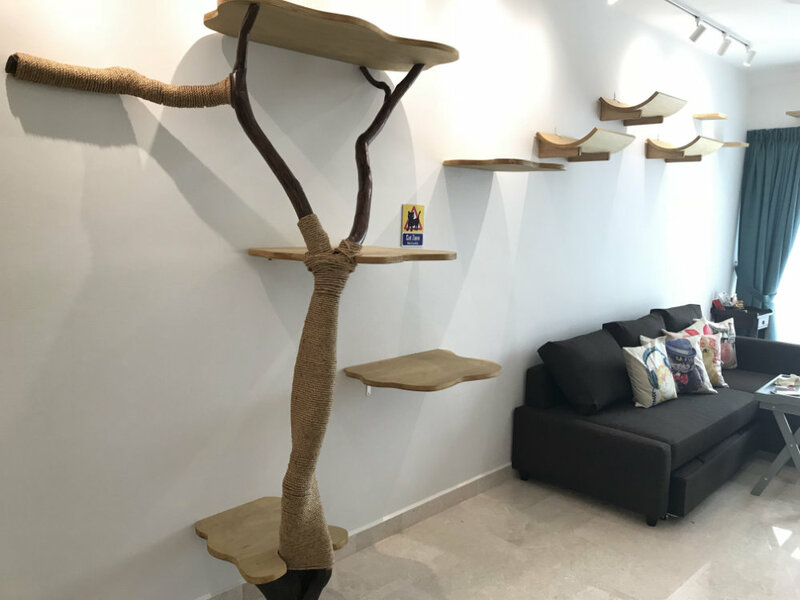 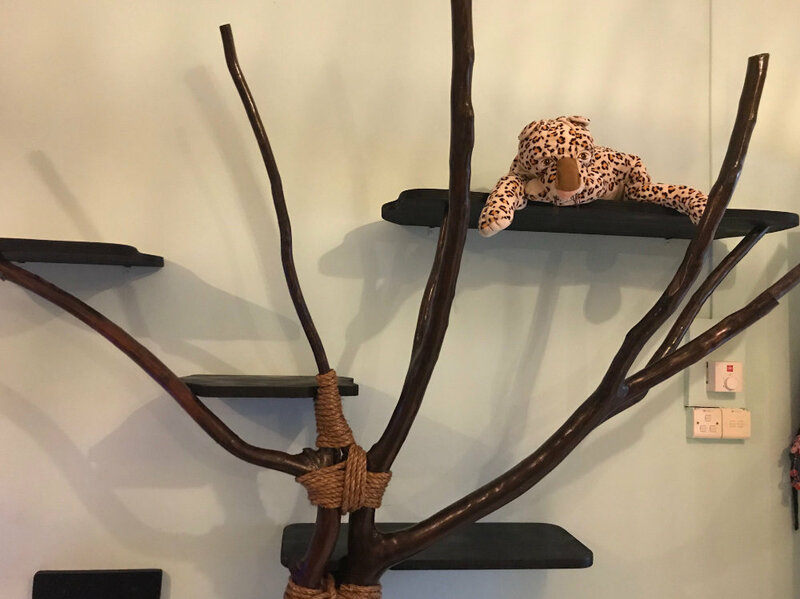 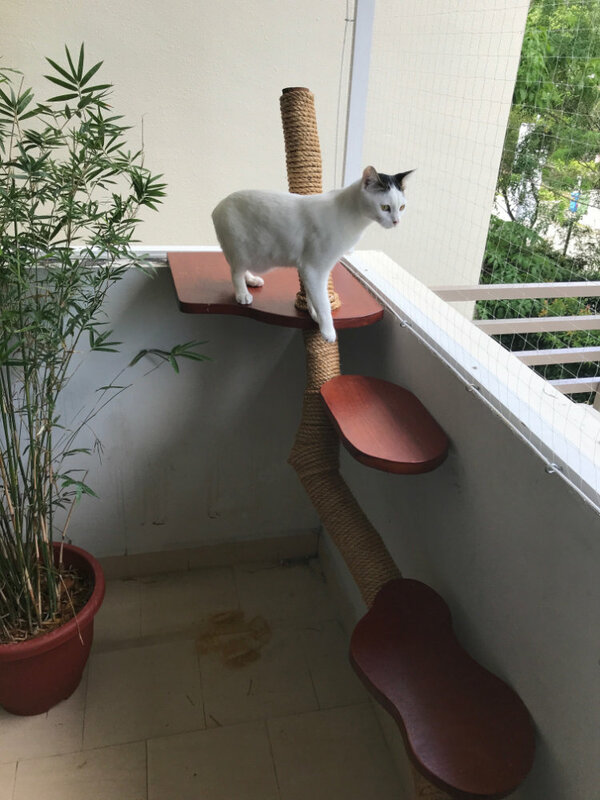 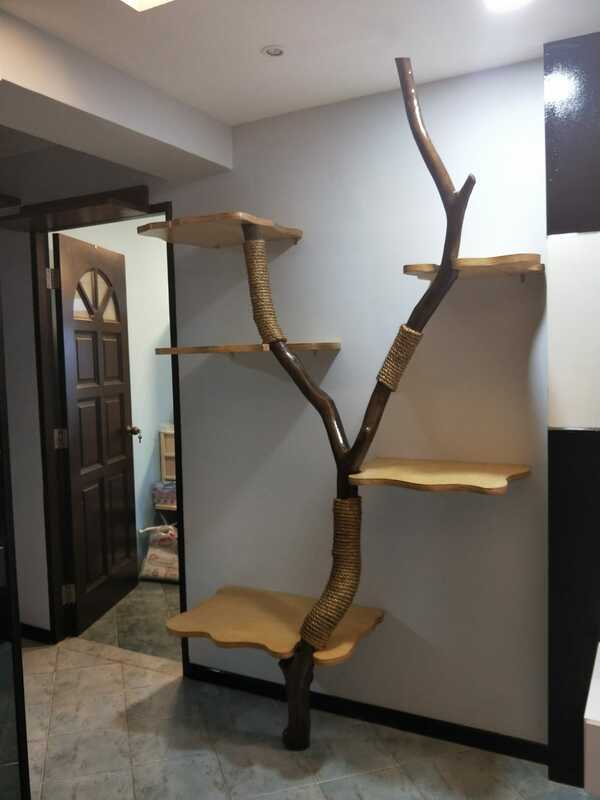 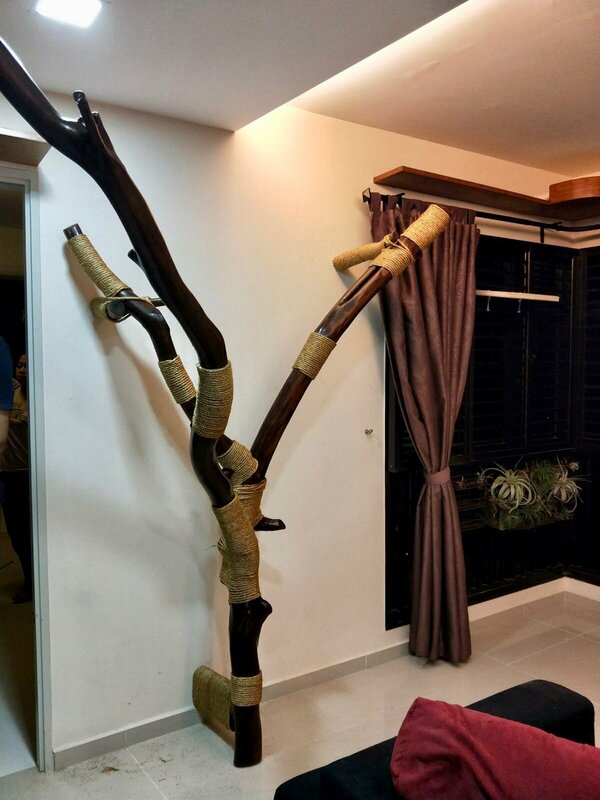 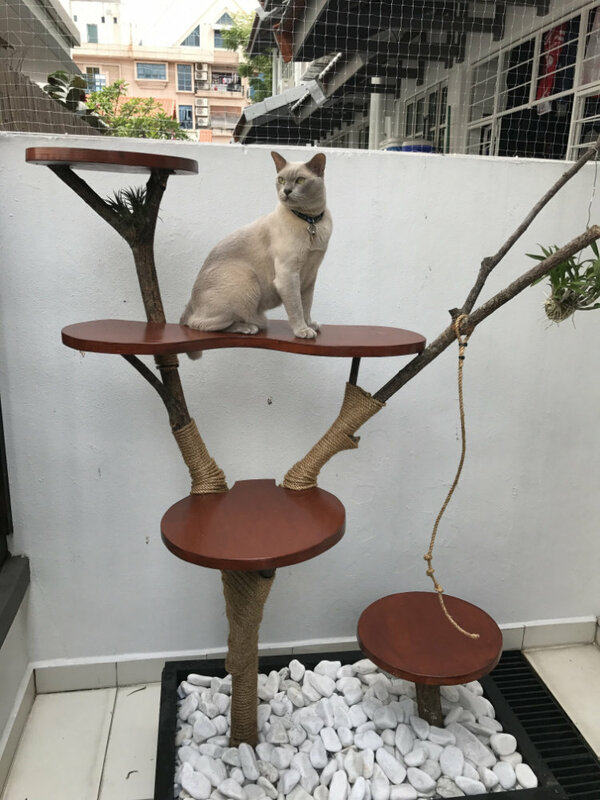 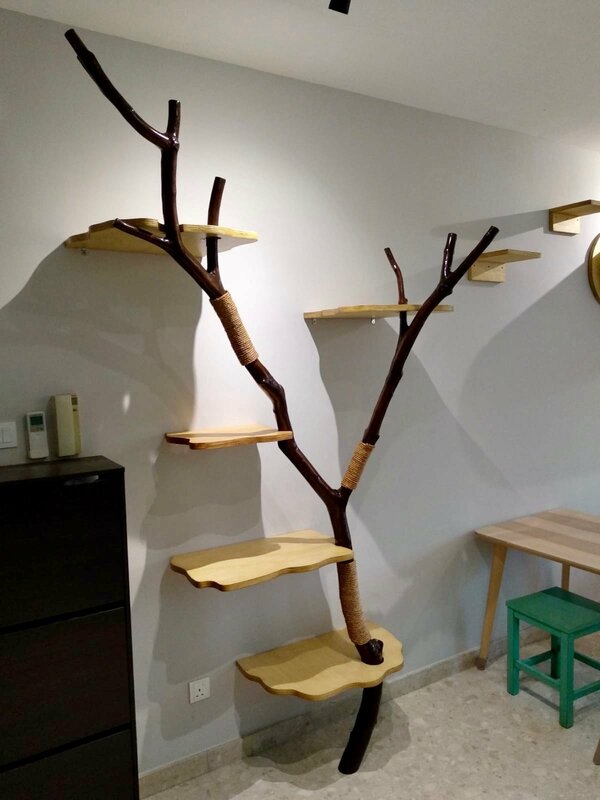 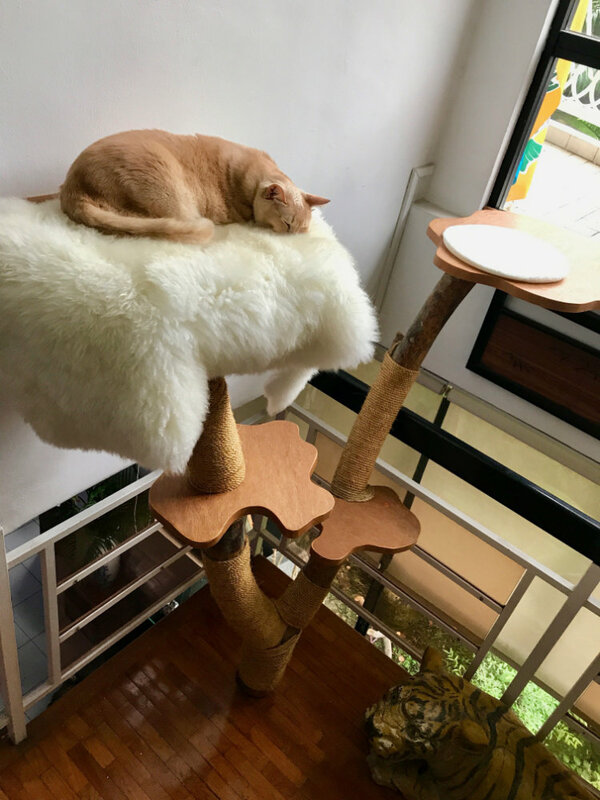 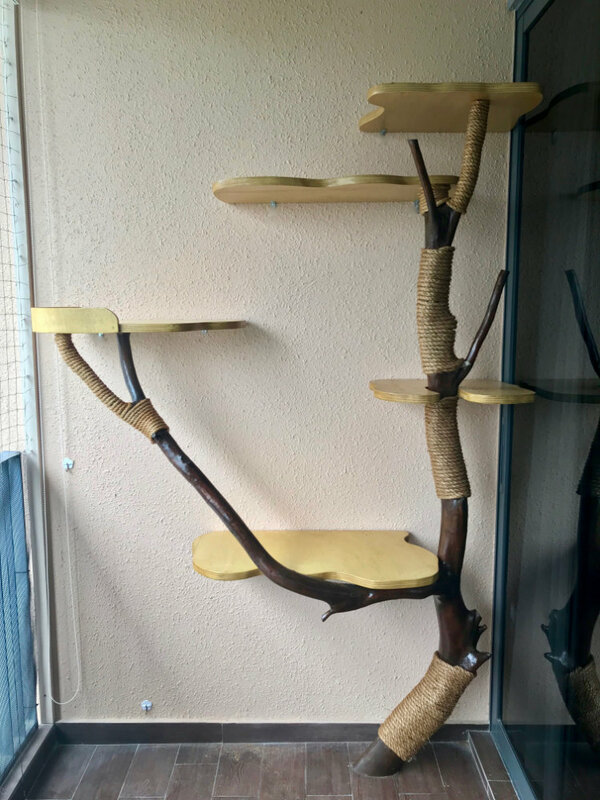 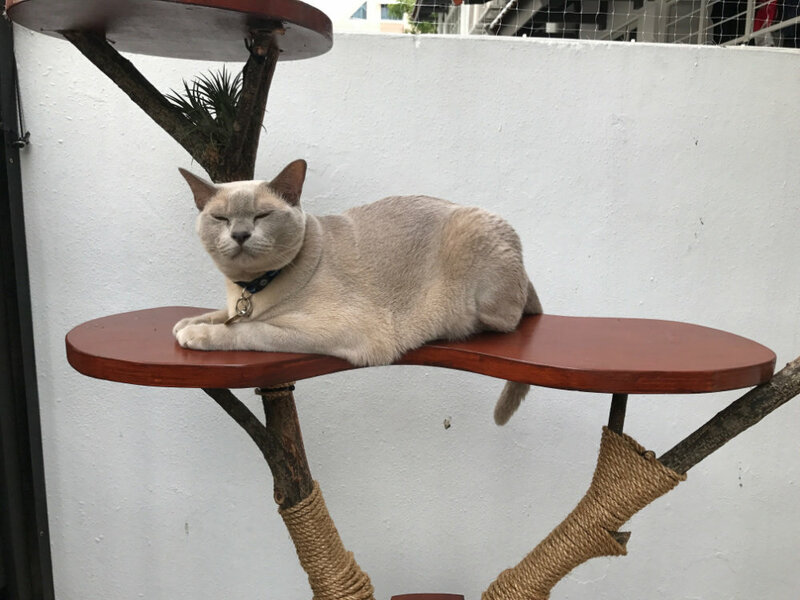 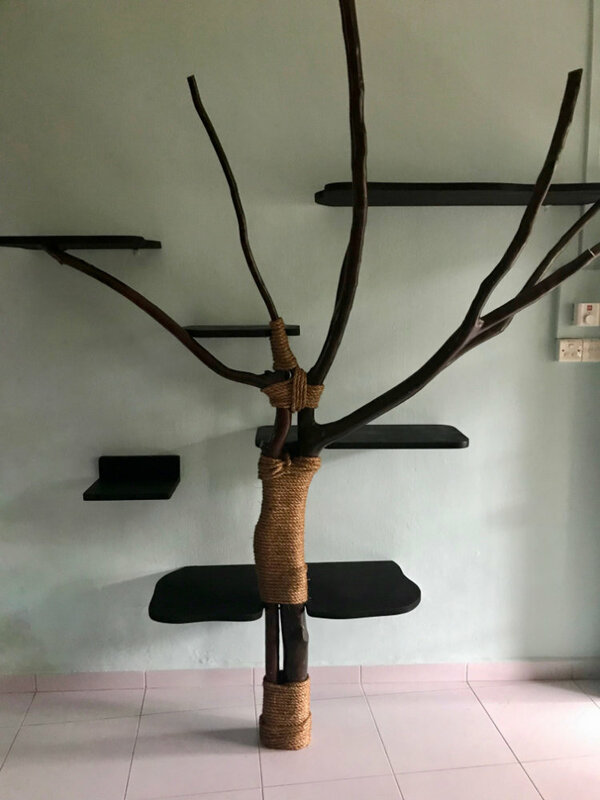 Natural Cat trees are made of tree trunks and branches that have been treated and varnished to protect from the elements and termites. 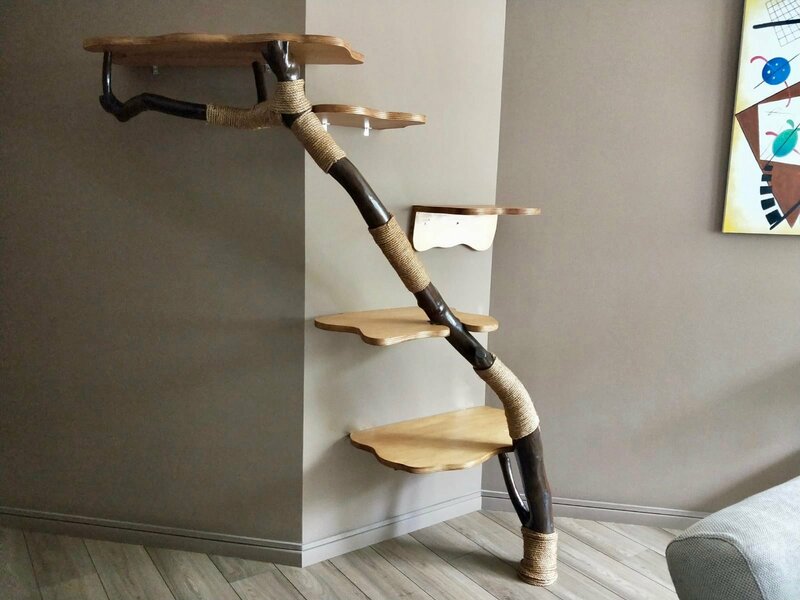 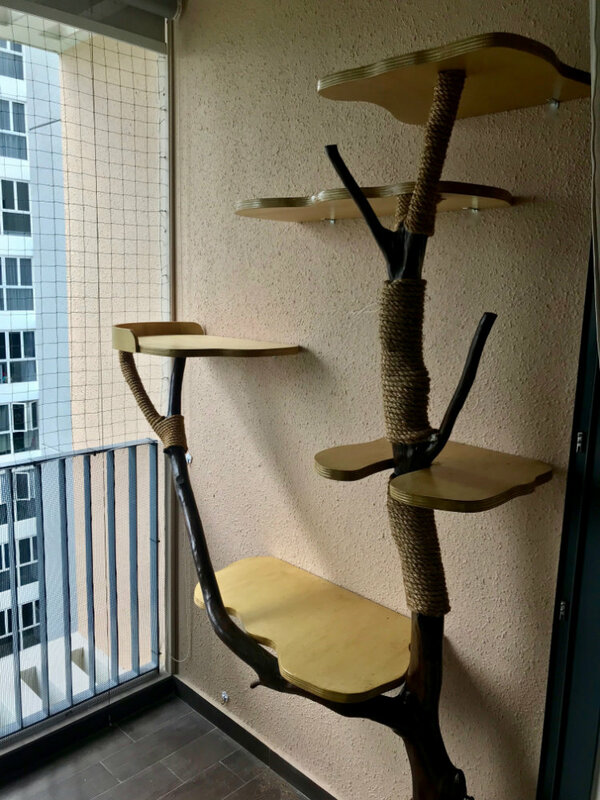 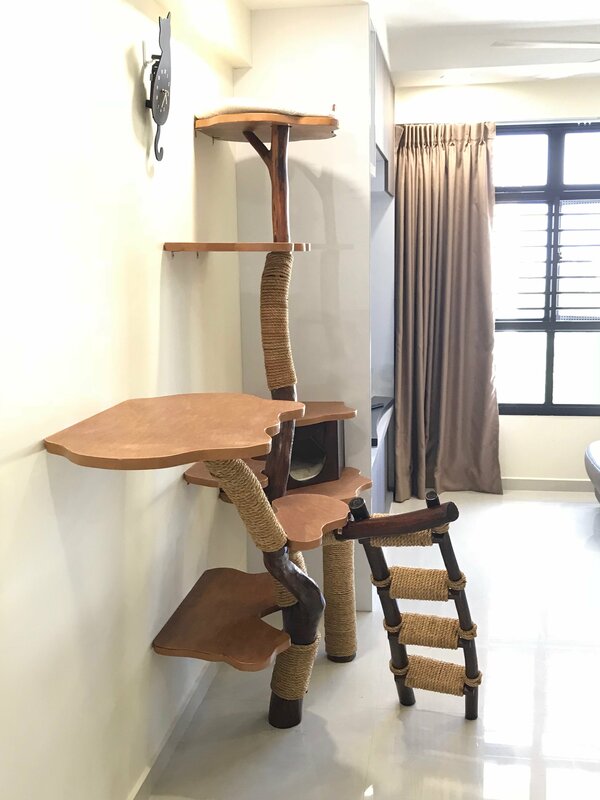 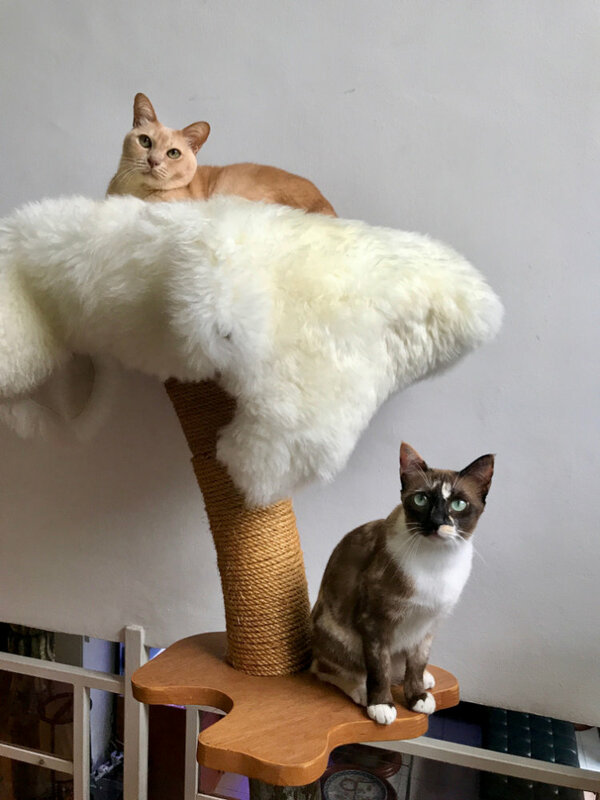 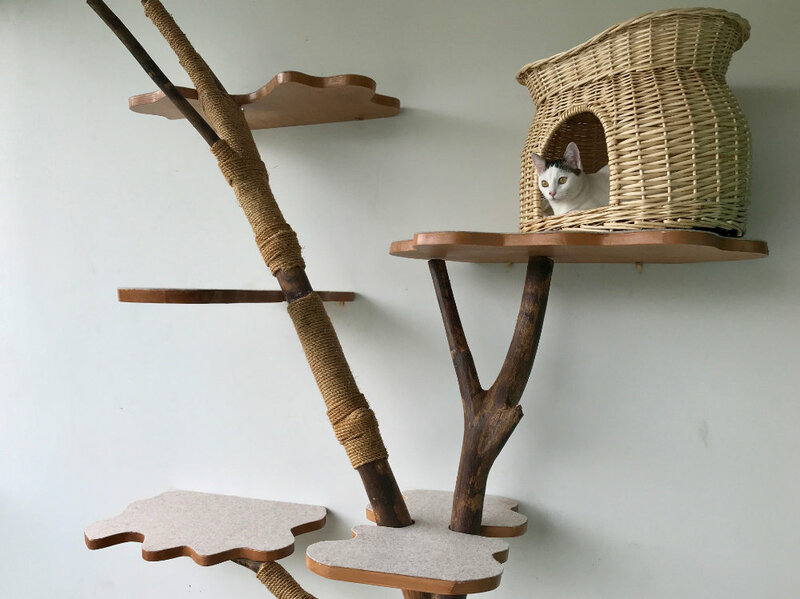 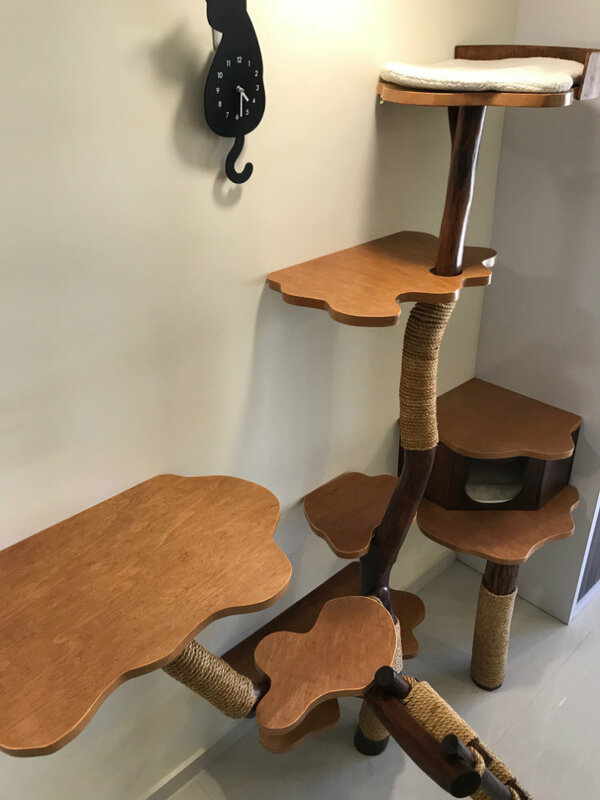 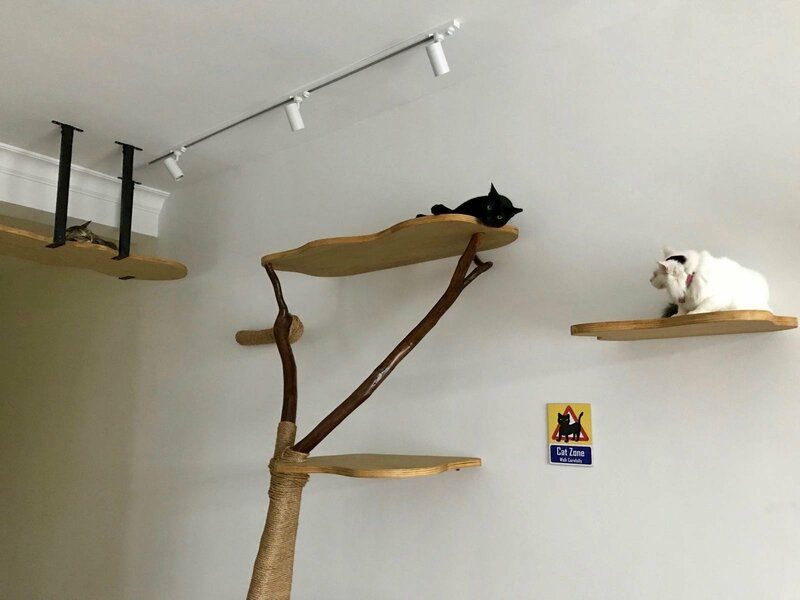 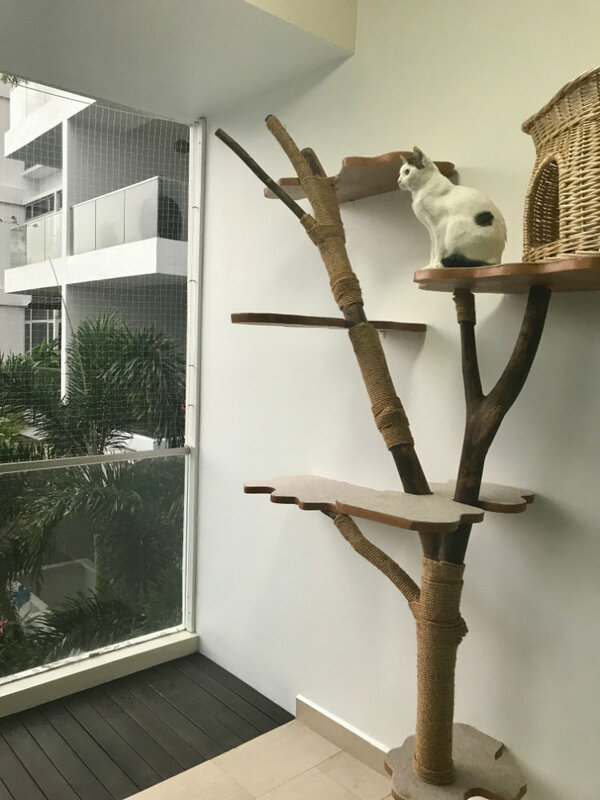 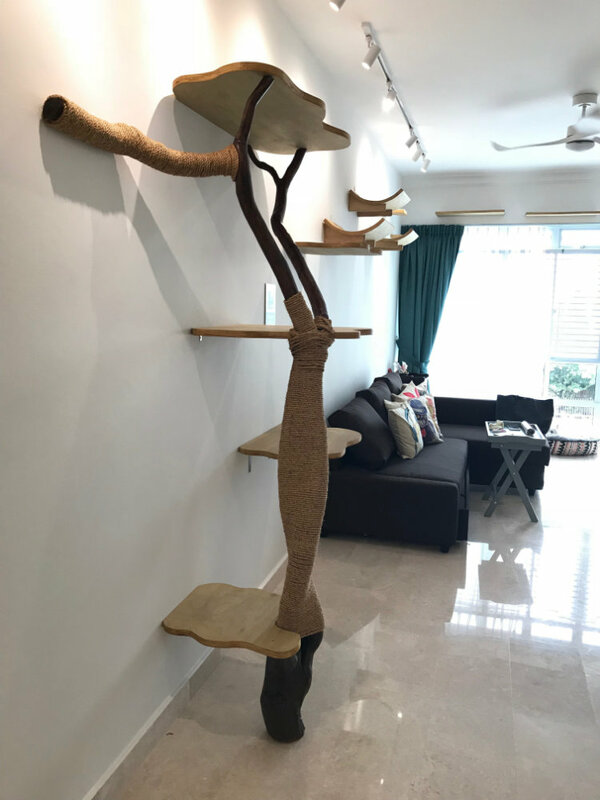 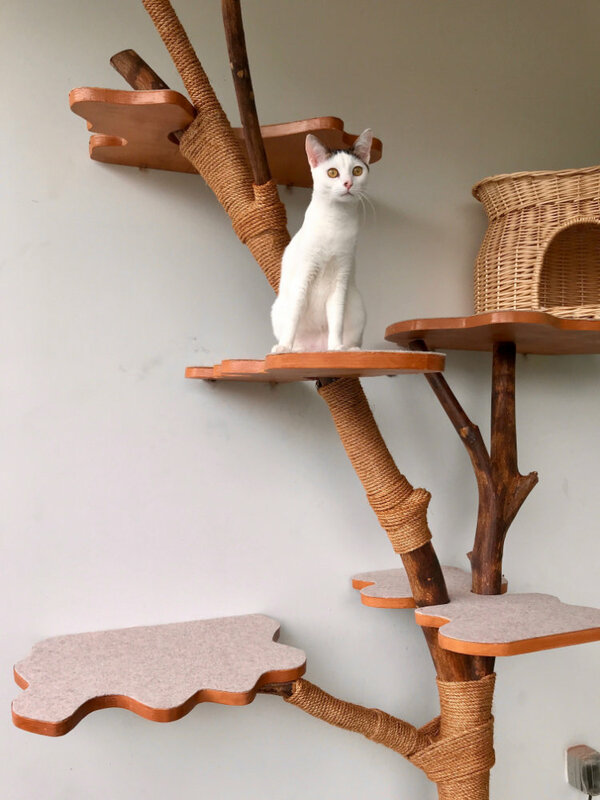 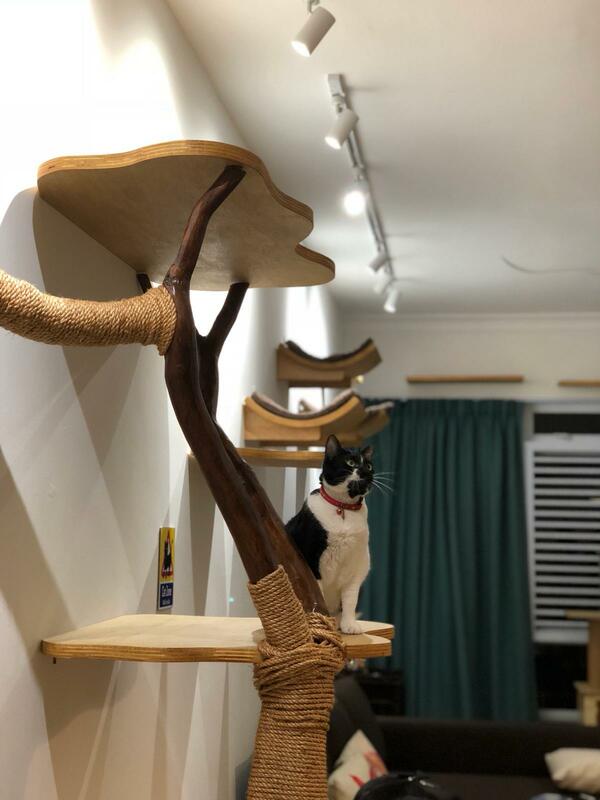 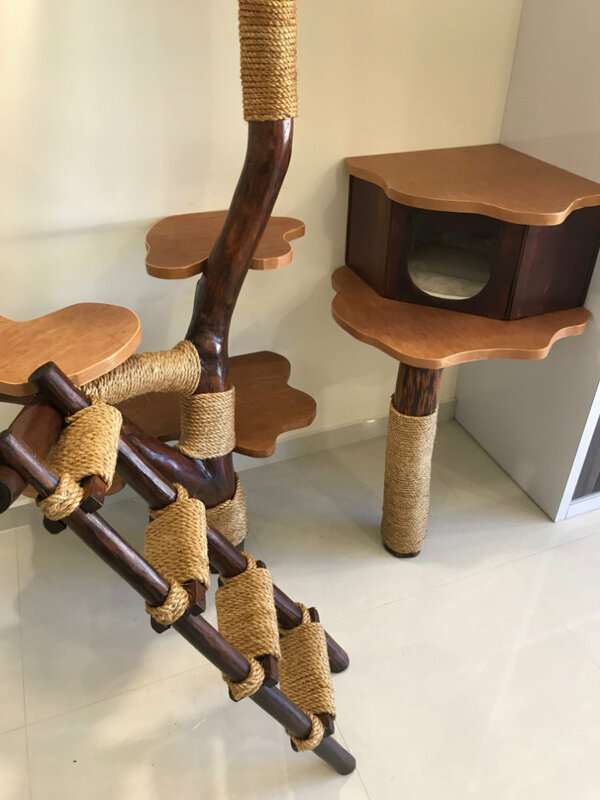 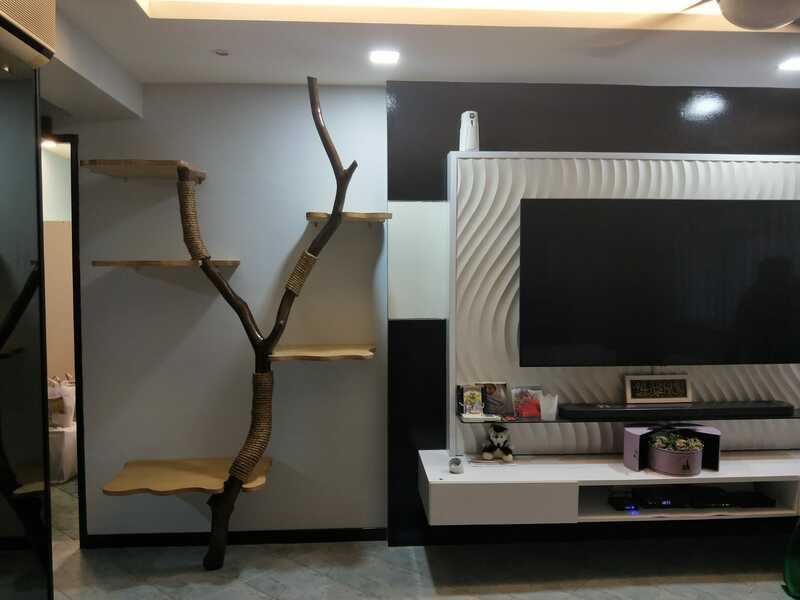 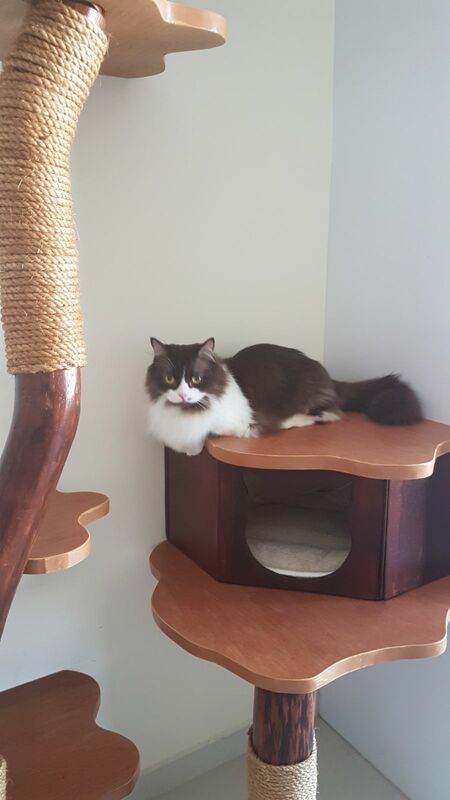 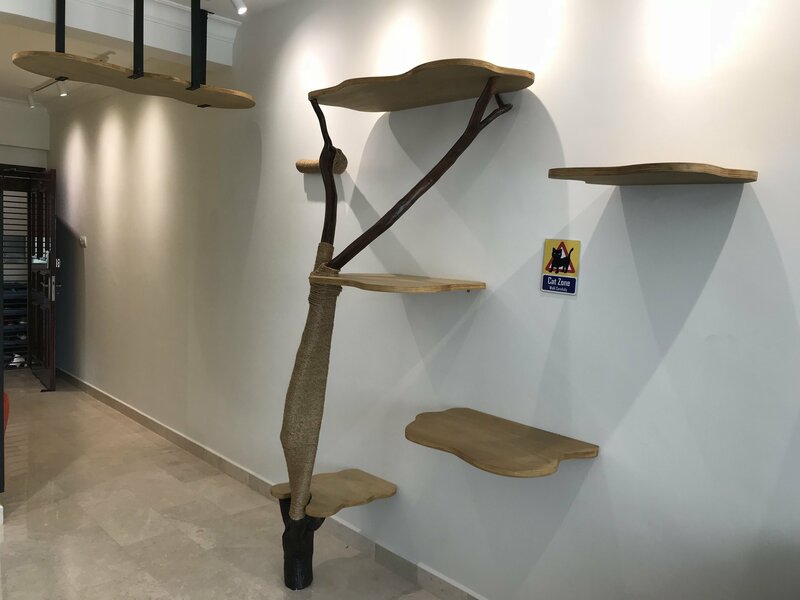 They are works of art and can take on sculptural shapes and forms making it not only a practical piece of catification for your cats but also an elegant design element into your home. 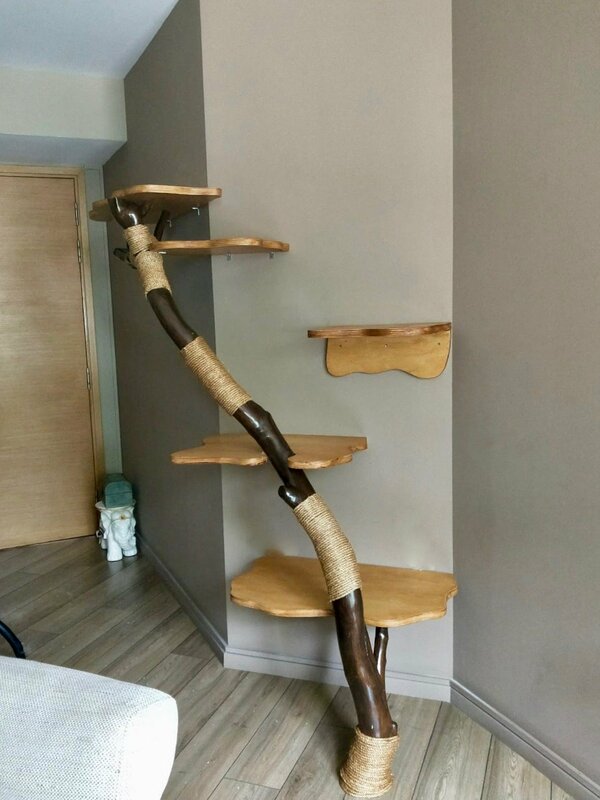 Definitely a conversation piece! 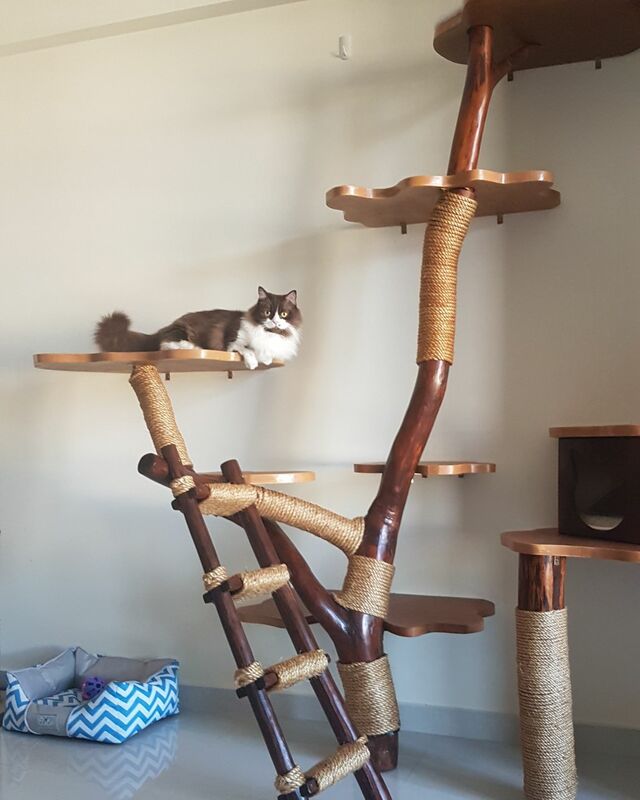 We design different platforms to make it comfortable for your cats to navigate and sleep on. 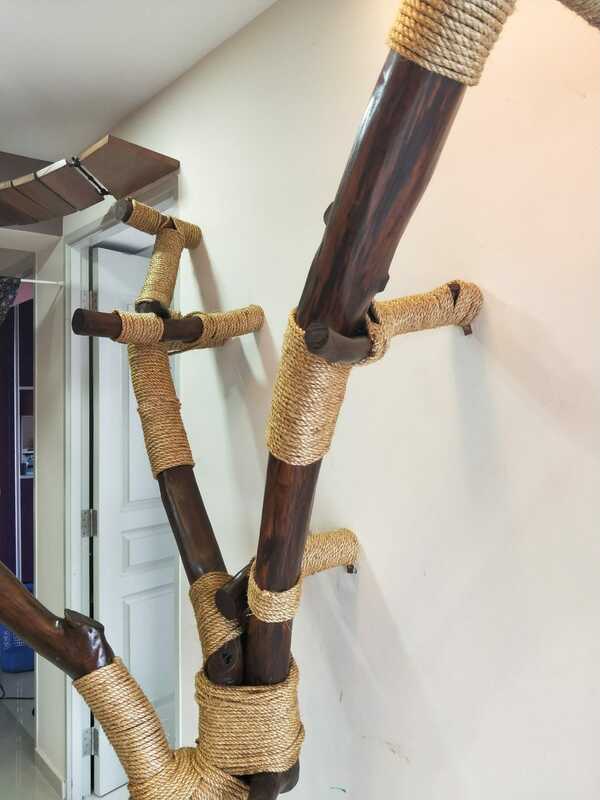 More details on how our installations are done can be found here. 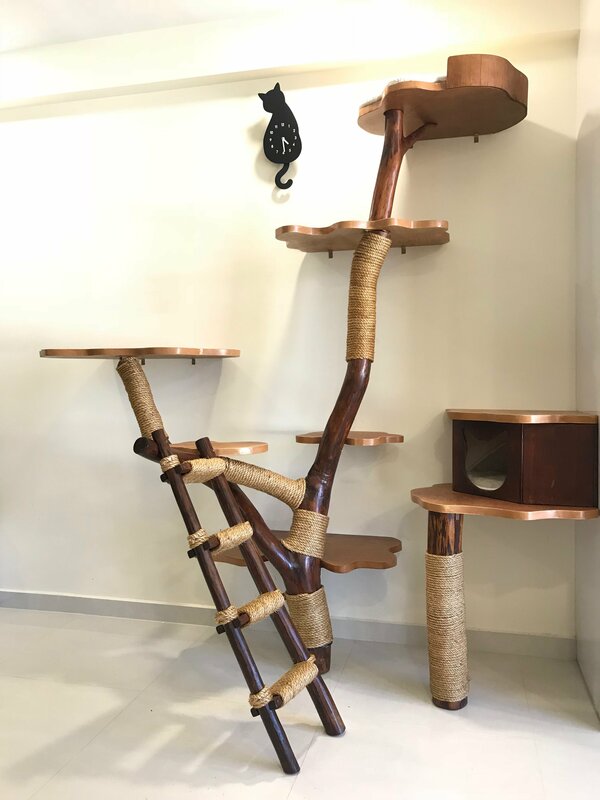 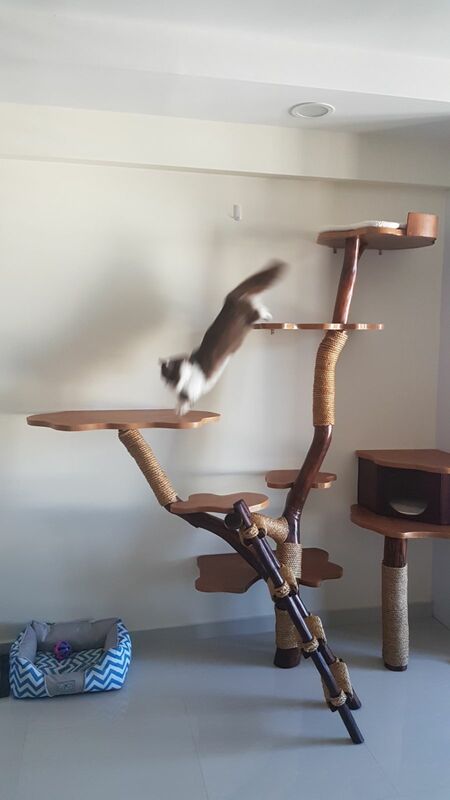 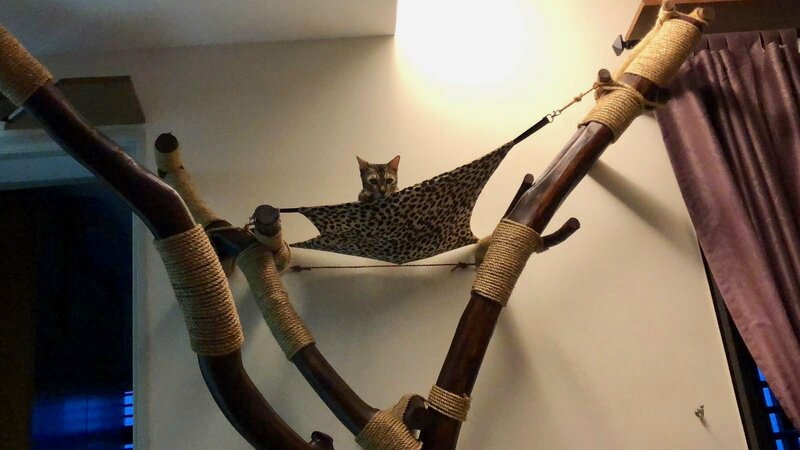 Looking to Get A Catification Installation for Your Cats?